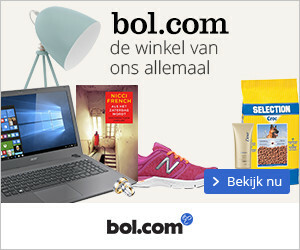 Origin/Onsterfelijk (Jessica Khoury) ***** – Mijn B.I.E.B. Origin / Onsterfelijk was echt een topboek voor me en ik heb spijt dat het een jaar ongelezen in m’n kast heeft gestaan. Als ik kon zou ik zelfs zes sterretjes geven! Dit verhaal is ongezien spannend, had een verfrissende setting waarin ik dolgraag vertoefde, toffe personages èn een originele verhaallijn. Wat wil je nog meer? Vitro staat al klaar om gelezen te worden (hopelijk niet meer lang) en Kalahari ga ik ook zeker kopen. In afwachting maak ik me alvast lid van de Jessica Khoury-fanclub. Ik ben en blijf ook dolverliefd op de prachtige cover … Gah, so pretty! #fangirling Er is al een NL-vertaling van dit boek uitgegeven (met dezelfde mooie cover!) door Clavis, maar ik las ‘m in het Engels. This book is unlike any I’ve ever read before, and I loved it! I’d give six stars to Origin if I could, and so regret that it had been waiting on my book shelf for over a year before I finally cracked the spine (figuratively speaking, of course – no spine-cracking going on over here, no Sir). Should’ve read it sooner! I immediately took a liking to Pia, who is so different from us all, yet somehow so relatable. The thrilling story keeps you on the edge of your seat literally all the time and the setting is absolutely breathtaking. I loved spending time in the jungle (and even more so in Little Cam, for some bizarre reason) with Pia, surrounded by beautiful nature, exotic animals, rain storms … Amazing. It truly feels like a mental vacation to read this book and be enveloped in the mysterious Amazon with its inhabitants on one side and the interesting yet cold scientific world on the other! Like I said: unlike any other! 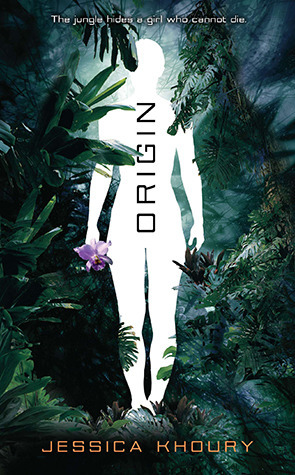 A lot of YA books can easily be compared to either Twilight, The Hunger Games or Divergent, but Origin stands firmly on its own two feet, a beacon of originality. This allows the plot to surprise you more often than you’ll be used to in your average YA read. So refreshing! I wish the romance in this book were a bit more potent though (or absent altogether – now it was just kind of in between …) Because I liked Eio just fine, but can’t really say I have a full-fledged fictional crush on him or anything. Which is too bad because one can never have too many fictional crushes! But for me the romance doesn’t make or break this story. It’s Pia’s story – and it’s well worth a read (or two!). Though Jessica Khoury is a brilliant writer – no doubt about it – I do sometimes feel like she tries a little too hard to be eloquent when there are easier ways to put something. Almost like she’s not a native speaker and she really wants to prove her full grasp on the English language! It took some getting used to at first, but I grew to appreciate her very unique writing style. I loved how she compared stuff to either scientific stuff or jungle stuff (yeah, lot of stuff in the sentence, but you know what I mean).